We work very hard to keep RunMags secure and we encourage you to create a password that nobody can guess, so no dictionary words or family names. Be cryptic or use multi-word pass phrases – easy to remember, hard to crack. 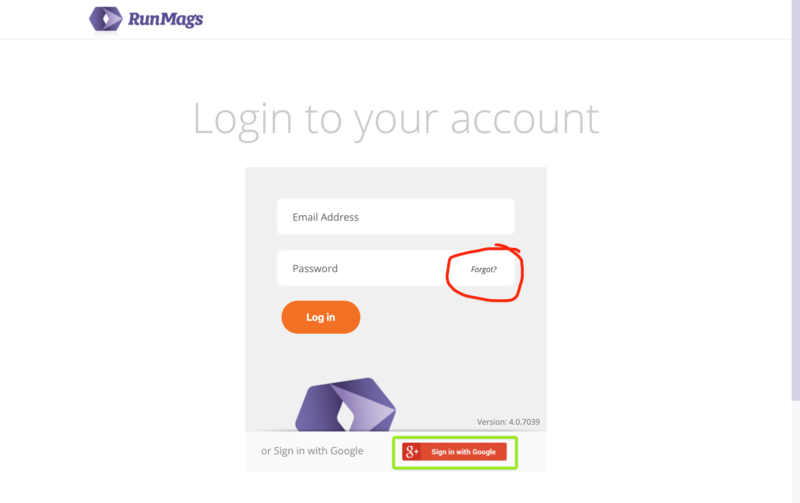 If you forget your password you can easily reset it from our login screen at run.runmags.com. Simply click on the link that say Forgot? and it will take you to a form where you enter your email address so we can send you a link for resetting your password. Make sure you enter the email address you use with RunMags. If you are using Google G Suite you can also just login with you Google account by clicking the red button that says 'Sign in with Google'. Don’t share your password with anybody and don’t write your password on a sticky note and attach it to your computer. Users must choose a strong password and automatic lockouts are enforced when incorrect passwords are repeatedly entered. If you leave your computer unattended for an extended period, you will be automatically logged out.